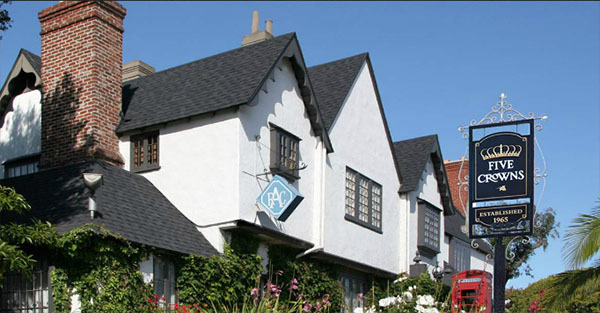 A county staple, Five Crowns in Corona Del Mar has been celebrating its 50th anniversary this year throughout the year rather than on a single day. What an accomplishment to reach that milestone. 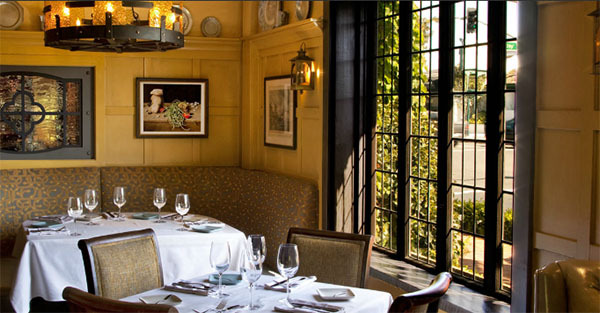 For those celebrating special occasions, many a memory has been made in its dining rooms. Earlier this year, we previewed a commemorative menu by the Lawry's family and Executive Chef Steve Kling which showcased popular classics and modern soon-to-be favorites. This menu expanded upon existing beloved dishes by tripling the selection size, and the new winter season has only contributed more to their repertoire. This time, I previewed strong contenders for new favorites as ingredients ripe for the winter have been used, and it is no wonder they have been around for half a century. Their consistency to quality ingredients and food is complemented by their constant ability to change with the times and innovate where needed. Celebrate #FC50 with them before the year's out if you can! 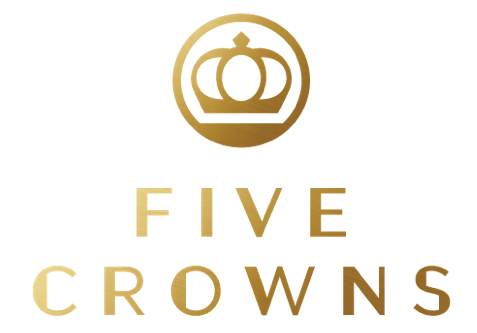 Now with the changes of time, there is also a release in another matter that demonstrates Five Crowns' willingness to be in the know of their community: a logo change. In celebration of 50 years comes a facelift for the brand which manages to maintain a classy air but adopt more modern features as well - check the slight sheen in the look and the rounded edges. I am willing to believe another 50 years is on the horizon for the restaurant which has been built upon a strong foundation that respects ingredient sourcing from the produce to the animal products. Partnerships with grass-fed beef producers, local fishermen, and committed produce growers (including their own garden next door) has allowed for the freshest sources possible with an eye toward the importance of being responsible in the culinary world. To comment on each dish in a way that fully encapsulates the beauty of each dish would take more than this post could handle so I wanted to share brief thoughts on each. Use of butternut squash in the first course as pureed in a soup could have turned out pedestrian (where haven't you seen butternut squash soup?) but they managed to kick it up a notch with the salty sweetness of maple-glazed bits of pancetta. You might want this if you're looking for some minute of dimension to a popular dish. 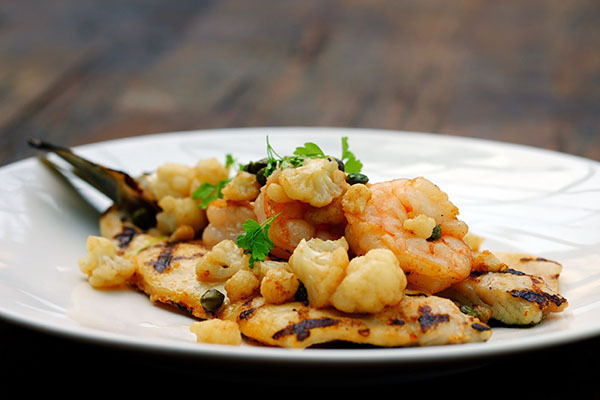 If you are seeking seafood, know that they are masters of fish and present not only the sea bass well but also can be captivating with their perfectly cooked shrimp. The subtle savoriness of brown butter is a nice touch that does not overwhelm the light fish. I was particular flattered by the ramekin of lasagne we were each treated to because it managed to be full of hearty flavor and rich with life while still being a vegetarian dish. Rare is it that we see fare catering to the veggie lovers that is not a paltry mash of wilted vegetables. This one was sublime and great for a wintry night. Soon after, the star of the evening shone and in the complete opposite spectrum of the -arianisms, we had steak. 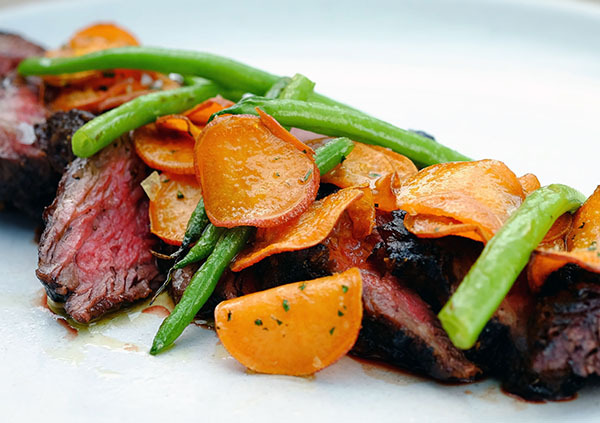 Fatty and moist, luscious and bold, the deckle steak was brilliant and is a must order. Finish everything off with their creamy ice cream atop a warm apple crumble, and you are set for hibernation. Once again, it is no wonder that they have managed 50 years of excellence and community favor. I wish another 50+ more for Five Crowns who you can find, if you don't know where they are yet, at 3801 East Coast Hwy, Corona Del Mar, CA 92625 for a good time. Photography provided by Five Crowns.